Download Tagged Image File Format (abbreviated TIFF or just TIF) is a file format for storing images, popular among Apple Macintosh owners, graphic artists, the publishing industry, and both amateur and professional photographers in general. 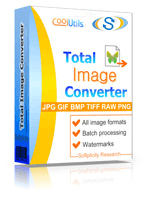 Our choice is Total Image Converter - a TIF converter which fits all these requests. 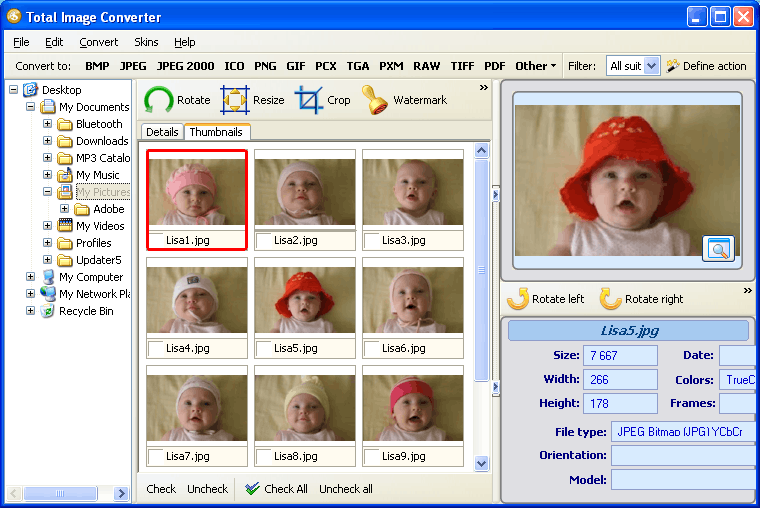 Thanks to hi-technology decoding protocols Total Image Converter converts all supported image formats as fast as you expect. With help of this program you can not only convert TIF to jpeg – you can edit, watermark re-size and re-border you pictures and photos. 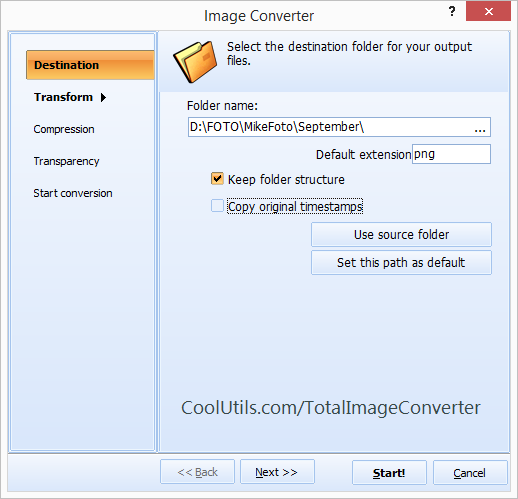 Total Image Converter supports batch converting – you can convert all your TIF images at one attempt, which is more than comfortable. Program's interface is very simple and intuitive – you don’t need any special knowledge to manage it. Also this program gives free test period for 30 days. As for quality – you can choose what quality level you need. You may want to choose low-quality to keep a free space on hard drive. Or select the printing quality if the size does not matter. So, if you decide to use this software – you should start form simple things. Download and install it – this is even easier than to read this sentence. 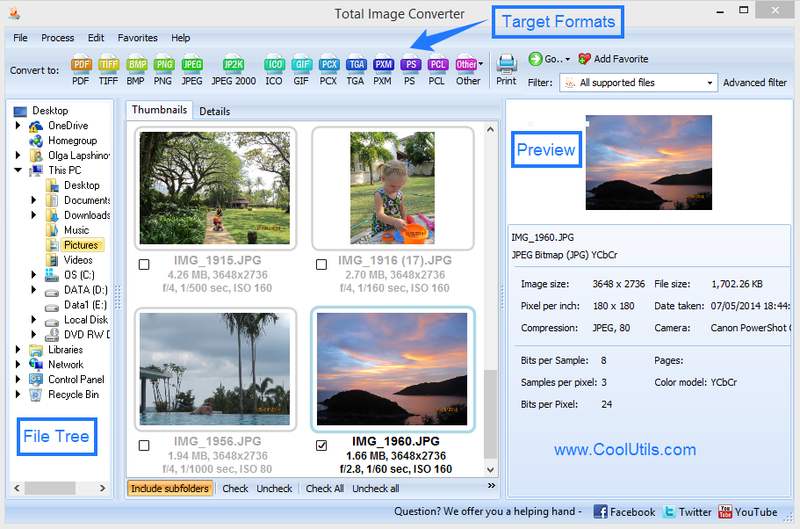 Choose all photos you would like to convert and press TIF button in the upper menu! Actually this is all you need to do. It is easy and fast!